We all have those teachers or authority figures in our lives who seem so hardheaded and resolute that we just don’t know if we can tow the line they set. We might grumble about them, but we can’t help but learn from them and thus come to respect and maybe even love them. 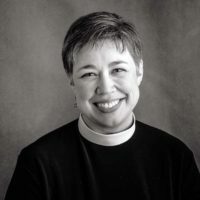 One such professor in seminary (who shall remain nameless) emphatically stated that there is no such thing as “Stewardship Season.” We have the Season after Pentecost, and we have Advent; we have no distinction or color for “Stewardship.” And that was that. So I guess over the years church leaders have hopped onto the “stewardship season” boat despite the best liturgical advice, undoubtedly at the behest of vestries looking forward to making balanced budgets come January. It probably helped that the lessons coincided with a focus on wealth and money-management, and if they didn’t, there’s plenty in the gospels to choose from to work in a line or two. In fact, there’s actually lots in our tradition about being a good steward, period. We’ve come to realize that it’s not just about managing our pocketbooks but about managing all of our resources: our health, time, relationships, environment, you name it. Everything that we have–all of it, tangible or intangible–has some sort of value. Today we’re being schooled on how we manage our valuables. The dishonest manager or unrighteous steward has to provide an account to his master or lord because he’s been accused of squandering his master’s property and is getting fired. He knows he’s too weak to dig and too proud to beg, so he comes up with a way to provide for himself after he gets the boot. I couldn’t help but imagine this manager being a kindred of the former Wells Fargo consumer banking chief Carrie Tolstedt; perhaps you’ve read about her in Fortune or the Washington Post. Some squandering has occurred, but 27 years in the business with a seven-figure income didn’t come about because she’s a fool. Think fast and get out fast. After 27 years, who isn’t ready to retire, especially if it comes with something to the tune of $124.6 million in assets? That’s a lot of olive oil and wheat. It still remains to be seen if she has to give any of the payout back. (I wonder if any of the 5,300 employees who lost their jobs in the past five years because they didn’t meet quotas for opening new/fraudulent accounts have any input.) The CEO of Wells Fargo conveyed praise for Tolstedt, saying she “had been one of the bank’s most important leaders and ‘a standard-bearer of our culture’ and ‘a champion for our customers.’” His words sound an awful lot like a master’s commendation. Jesus doesn’t deny the good move. That choice to serve God is our first shrewd move, managing our free will by aligning it with God. Rather than promote our own agenda or save our own face, we serve God. As children of the light, we “have seen the kingdom dawning in Jesus’ works and in His calls for a radical commitment to God’s power to deliver people from corruption and oppression.” We stand up for what is good; we love our neighbors; we come to church; we pray. We collaborate with those who differ from us, reconcile with those whom it’s hard to love, and help those whom we are uncertain about. We manage our diversity, hospitality, and generosity knowing that we are merely stewards of God’s creation. Jesus isn’t necessarily telling his followers they and we aren’t being faithful and serving God alone. He’s showing us how easy it is to fall to the wayside, how significant a little dishonesty can be, how easily we can fool ourselves. This beautiful, intimate moment was shattered by a large and flashy couple–wealthy, loud, and demanding–barging in to get their picture with Mtr. Teresa. Lynne was given the camera to take the picture and watched in horror as the rich woman tried to force Mtr. Teresa’s stooped frame upright. They didn’t even say “thank you,” not even to Mtr. Teresa. Lynne says that Mtr. Teresa continued with the conversation after they left as if nothing had happened but that she hardly heard her through her own rage toward the intrusive couple. Weeks later, Lynne received a letter from Mtr. Teresa, handwritten. In it Lynne is admonished by Mtr. Teresa because while she shows great compassion for the poor, Lynne showed no compassion toward the wealthy couple. She took no heed “of the suffering of the wealthy: the loneliness, the isolation, the hardening of the heart, the hunger and poverty of the soul that can come with the burden of wealth.” From that point on, Lynne vowed to open her heart and have compassion for the wealthy and the poor and hungry alike. Mother Teresa opened Lynne’s eyes to see how she had surrounded the rich couple with her anger and hatred, while Mtr. Teresa showed them as much love and respect as the orphans she tended. 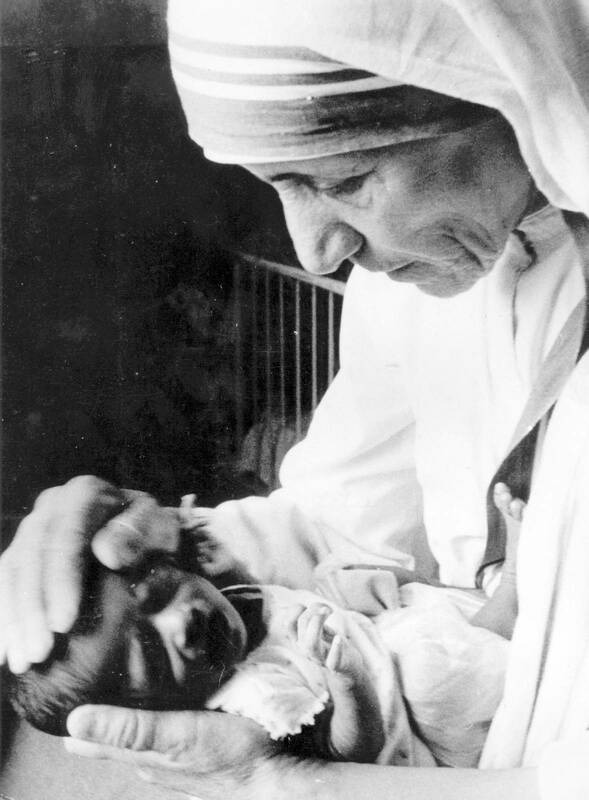 Is there a better example of a child of the light than Mother Teresa? Well, she is one of many. She embodies one who is smart/wise/discerning/shrewd enough to tell the difference between what will pass away and what will endure. She shows us how with God’s help we can act decisively, committed to God’s power to end corruption and oppression. No, we won’t all be saints, but we do all have a choice as to whom or what we serve. The most powerful, valuable thing we have is our love and devotion. Jesus keeps teaching us how to use them well.